When it comes to food, Dubai has everything to offer. There are restaurants serving virtually every national cuisine from around the world, including many specializing in Dubai’s own Arabic delights. Dubai does not have its own Michelin Guide, but instead it imports chefs or restaurant chains that have previously been recognized elsewhere by this prestigious publication. Each restaurant featured here is not only somewhere to eat, but also a destination for stunning décor, amazing views and unforgettable culinary experiences. Set on a bedecked pier jutting out into the Arabian Gulf, Pierchic offers some of Dubai’s finest seafood, and has previously been recognized as Time Out Dubai’s Best Seafood Restaurant. The pier is a romantic outpost, far removed from the noise and bustle of Dubai and offering unspoiled views of the azure Gulf. Nathan Outlaw brings his luxuriously laid-back approach to seafood to Dubai.The restaurant is not underwater and neither is the ‘submarine’ that takes you there real, but nonetheless, it is an extraordinary and unique experience dining within the vast aquarium that sets the scene for Nathan Outlaw Al Mahara. The Michelin-starred British chef’s dishes emphasize the power of simplicity while the flavors of the finest ingredients speak for themselves. The atmosphere at Eauzone is casual during the day, reflecting the slow pace of the One&Only Royal Mirage and the lazy sea beyond. After sunset, however, this venue smartens up into a slick, refined restaurant. The design is beautifully positioned around the pool, giving the impression that it is floating on the translucent water. A winding walkway over the pool shows the way into the restaurant where there is a casual bar and a glamorous, striped poolside marquee deck. 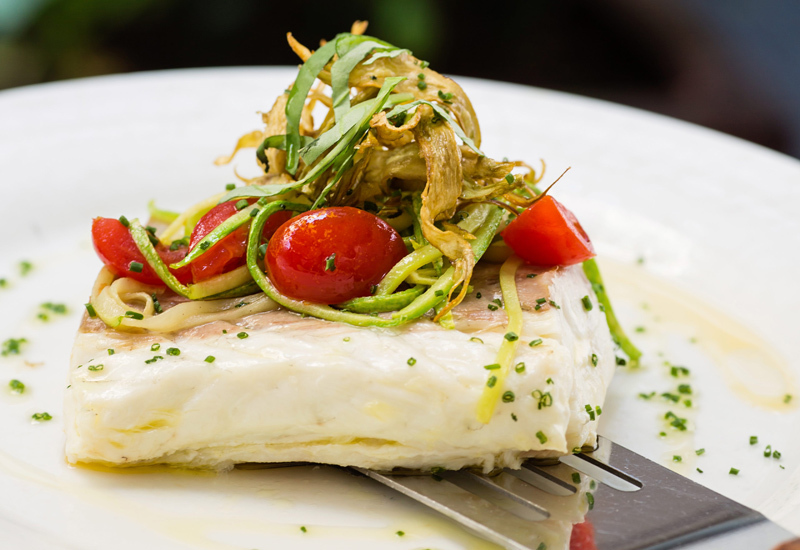 Magnificently located in DIFC, this restaurant’s cooking style belongs to “old Genoese” serving Mediterranean dishes. Local produce, notably artichokes, courgettes, lemons, olives, tomatoes, peppers and girolles are used generously with sea food, meat and fresh pasta to produce a style that’s light and healthy. The signature restaurant of the Bab Al Shams Resort is a 50-60 minute drive from Dubai, in a resort hidden among and surrounded by sand dunes, giving the image of an isolated oasis. Guests dine while being entertained by actors riding horses and acting out swordplay, with belly dancers and henna artists keeping families entertained for hours. Award winning chefs at Zheng He’s pride themselves on creating dishes that blend modern Western presentation with old Chinese flavors. The setting adds to this fusion; on the ‘dockside’ of a canal that weaves itself into the Madinet Jumeirah resort, it has an atmosphere of ancient simplicity while retaining views of the Burj Al Arab and the Gulf beyond. 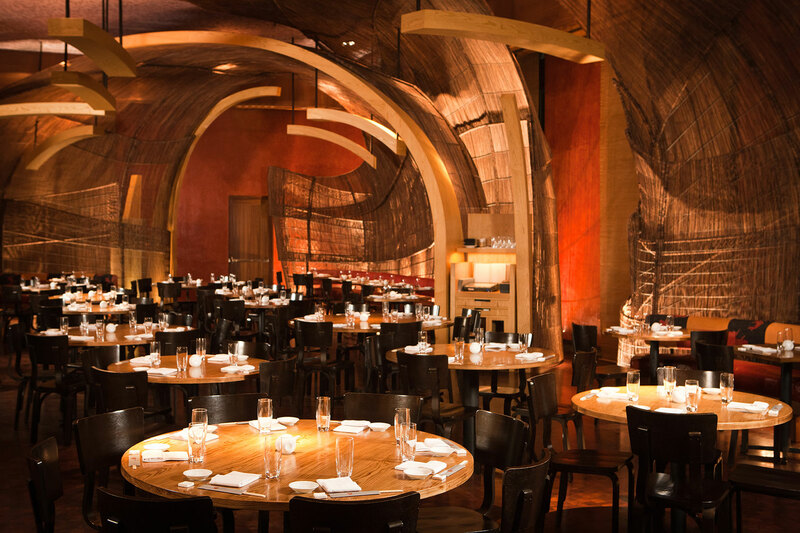 Based at the Atlantis Hotel, Nobu fuses cutting–edge Japanese style with Arabian influences, while retaining Nobu classics such as its legendary seared black cod served with sweet miso sauce, and yellowtail topped with thin slices of jalapeño. The menu is complemented by a sushi bar and stylish surroundings, including private areas for more intimate gatherings. Cooking classes are available on the first Saturday of every month, allowing guests to learn the secrets behind this world–famous restaurant chain, created by globally renowned chef Nobu Matsuhisa to redefine Japanese cuisine. Located at The Palace Downtown Dubai, Thiptara offers diners exemplary Thai cuisine with a focus on Bangkok-style seafood. With a name meaning ‘Magic of the Water’ the elegant restaurant overlooks the Dubai Fountain, giving it a particularly romantic setting. Thiptara’s executive chef Chaiwat Kawikitpraphat has created a menu that pays tribute to Thai culinary traditions; expect a range of fresh, flavorful dishes that cover a spectrum of the nation’s signature recipes. 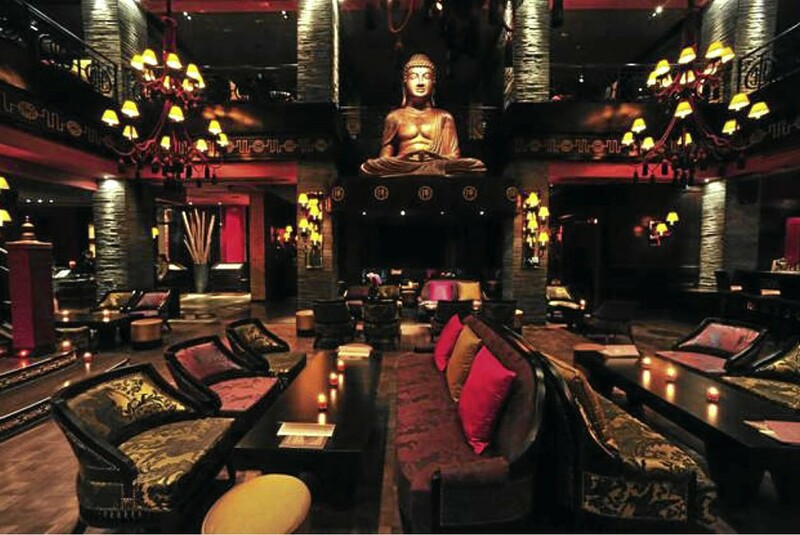 Widely considered to be one of the best venues in Dubai, the Buddha Bar is located in the Grosvenor House Hotel, and is named after the giant Buddha statue that watches over this lavish setting. Actually three venues — a restaurant, bar and outdoor lounge opening onto the Arabian Sea — Buddha Bar is famed for its unique food, eclectic atmosphere and chilled sounds. The sumptuous restaurant serves a fusion of sushi, Chinese and Thai food, and the bar plays host to Dubai’s stylish crowds. This concept restaurant at the Hilton Dubai Creek is a platform for a series of chefs to showcase their creativity as they each curate a different dining experience. Since opening the restaurant has become known for bringing to the table high-quality and entirely unique dishes with personalized service. 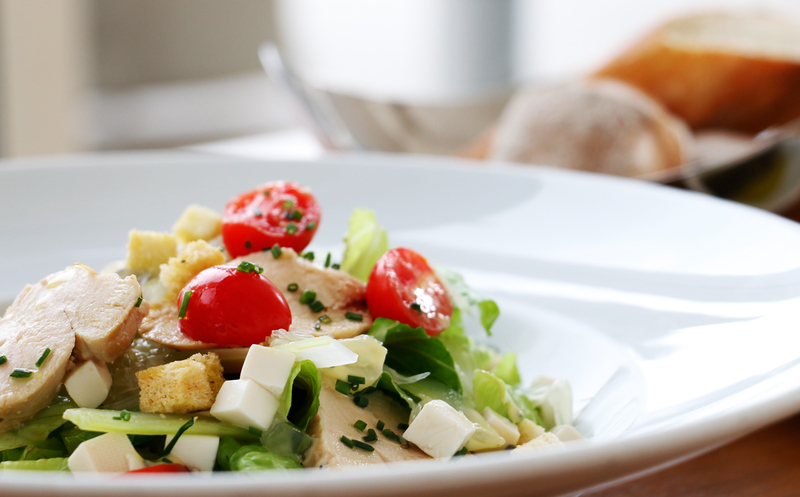 The modern bistro has a casual vibe making it ideal for brunch as well as an evening meal. Dubai does not yet have its own Michelin Guide but adopts Michelin–starred chefs in restaurants such as Rhodes W1. The flagship restaurant at the Grosvenor House Hotel is headed by Gary Rhodes, who crafts an astonishing fusion of Anglo–French cuisine. The innovative tasting menu is exceptional and uses fresh ingredients sourced from Europe, matched by an extensive collection of new, old and vintage wines. 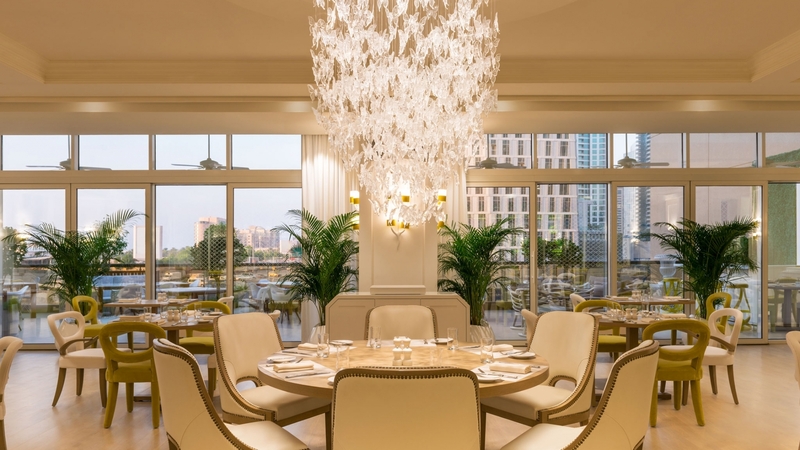 World–renowned chef Pierre Gagnaire, known for taking creative cuisine to its absolute limit, is behind this restaurant at InterContinental Dubai Festival City. Matching the success of his other restaurants in London, Paris and Tokyo, Choix has become renowned throughout Dubai, in particular for its high tea. The restaurant offers a la carte dining for breakfast, lunch and dinner, with a decadent range of pastries and desserts to make the meal even more special. The contemporary white interiors are complemented by the city views this dining space commands. The beauty of Zuma is that it is luxuriously unfussy, specializing in the Japanese Izakaya style of dining, in which food is served to share. Zuma combines its classic Japanese dishes with bold, intense flavors and an emphasis on simple presentation acquired through quality ingredients. Following the Japanese Izakaya style of dining, dishes are steadily brought to the table creating an informal yet sophisticated style of eating and drinking, with a contemporary twist.